You’ve spent months planning your wedding picking out every detail big and small. You are nearing the finish line and can see your big day about to come to life. 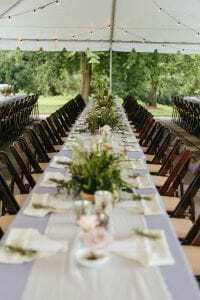 But there is one event you may not have thought of yet, the rehearsal dinner! 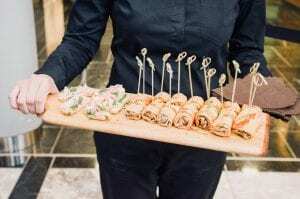 Today, I thought I go over this fun pre-wedding event and share with you what it’s all about, how to pull it all together, and of course give you the tips you need to make it an event to remember! When planning your rehearsal dinner start with the guest list and don’t be afraid to keep it small! Invites are usually extended to the bridal party and close family members, like parents and grandparents. You can definitely extend an invitation to others though if you chose. Pick a place close to your reception space, after all, this is where you are going to be rehearsing. Make it easy for your guests to get to the dinner. Finally, send out invites about a month before the event and be sure to ask for a RSVP. This will make it easy for you to confirm a head count. The rehearsal dinner is usually less formal than the wedding, so embrace it. Play fun music, dance, drink and connect with your family. Try to squeeze in some toasts, so you’ll have fewer people speaking at the wedding (which means more dance time at your big day!) But most importantly enjoy this time with your loved ones before your families become one! Want more great ideas on how to making the wedding planning process go smoothly? Contact Magnificent Moments Weddings, we would love to help you with all the details big and small!